It's no secret that Jade Thirlwall is a Beyoncé stan, so it serves as no surprise that she has remade Bey’s homemade '7/11' video at her birthday sleepover. 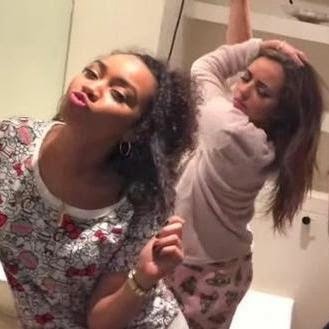 Jade’s Little Mix bandmate Leigh-Anne Pinnock (minus Perrie and Jesy) also joined in on the fun, complete with booty padding and some twerking. Jade celebrates her 22nd on December 26th.